Orbital ATK has been awarded a contract from the U.S. Air Force Space and Missiles Center (AFSMC) to build LDPE, or the Long Duration Propulsive Evolved Expendable Launch Vehicle (EELV) Secondary Payload Adapter (ESPA) space platform. Artistic rendition of the ESPAStar™ platform. Image is courtesy of Orbital ATK. The innovative platform, positioned between the launch booster and a primary space vehicle, is used to carry small payloads or deploy smallsats. Under the contract, Orbital ATK will design and manufacture the LDPE using its ESPAStar™ platform. The award includes the initial LDPE, plus options for two additional systems and adds to the rapidly growing production of ESPAStars that support a wide variety of customer missions. ESPAStar uses a modified EELV Secondary Payload Adapter ring as its structure and is capable of being launched aboard any launch vehicle that meets the EELV standard interface specification. The ESPAStar platform provides a modular, cost effective and highly capable platform for hosting technology development and operational payloads. ESPAStar leverages work performed on the company-designed ESPA Augmented Geostationary Laboratory Experiment (EAGLE), which successfully demonstrated similar technology for the U.S. Air Force. In addition to EAGLE, two ESPAStars are currently in production for other customers. ESPAStar provides power, pointing, telemetry, command and control for attached payloads or for small satellites that can be deployed from the vehicle. Built to provide an even greater level of access to space, Orbital ATK’s ESPAStar can accommodate any combination of up to six hosted or 12 separable, free-flyer payloads in low and geosynchronous orbit. Mike Larkin, the VP and GM for Orbital ATK’s Satellite Systems Division, stated that ESPAStar’s game-changing capability is another example of Orbital ATK’s ability to deliver innovative products that fill a need for customer. Based on Orbital ATK’s flight-proven GEOStar product line the new ESPAStar technology will provide a cost-effective ride to space for secondary payloads and offers maximum flexibility for orbit locations and deployment. SES has announced that the U.S. General Services Administration’s (GSA) Future Satellite Communications Service Acquisition (FCSA) program has awarded SES Government Solutions, a wholly-owned subsidiary of SES, a spot on the Complex Commercial Satellite Communications Solutions contract (CS3). Industry awardees will be able to bid on opportunities with a budget ceiling of $2.5 billion. The Indefinite Delivery/Indefinite Quantity (ID/IQ) contract vehicle has a ten year period of performance consisting of a five year base term plus a three and two year option. CS3 helps to ensure that critical government communications are delivered using the top capabilities available in the market. According to the General Services Administration, CS3 awards were given to the highest technically rated offerors with a fair and reasonable price. Complex solutions can include any combination of fixed and/or mobile satellite services, service enabling authorizations, components, and ancillary equipment such as terminals, teleports, and peripherals. Pete Hoene, President and CEO of SES Government Solution, noted that CS3 gives the U.S. Government and its agencies another contract vehicle to leverage the uniquely scalable and secure end-to-end managed-services SES Government Solutions provides. This inclusion will allow the U.S. Government to take advantage of the company’s most innovative offerings, including high throughput connectivity on SES’ multi-orbit satellite fleet. The U.S. Navy’s Communications Satellite Program Office, PMW 146, and Lockheed Martin have handed over full operational control of the fifth Mobile User Objective System (MUOS) satellite to the Naval Satellite Operations Center (NAVSOC). This milestone followed the successful completion of the MUOS-5 satellite’s on orbit testing and delivery of all operational products needed to “fly” the satellite. 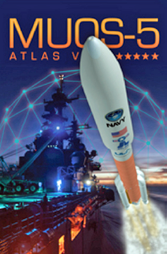 In April, the Navy, working with Army Forces Strategic Command (ARSTRAT), configured one of MUOS-5’s two communications payloads — its legacy Ultra High Frequency (UHF) payload — for testing. 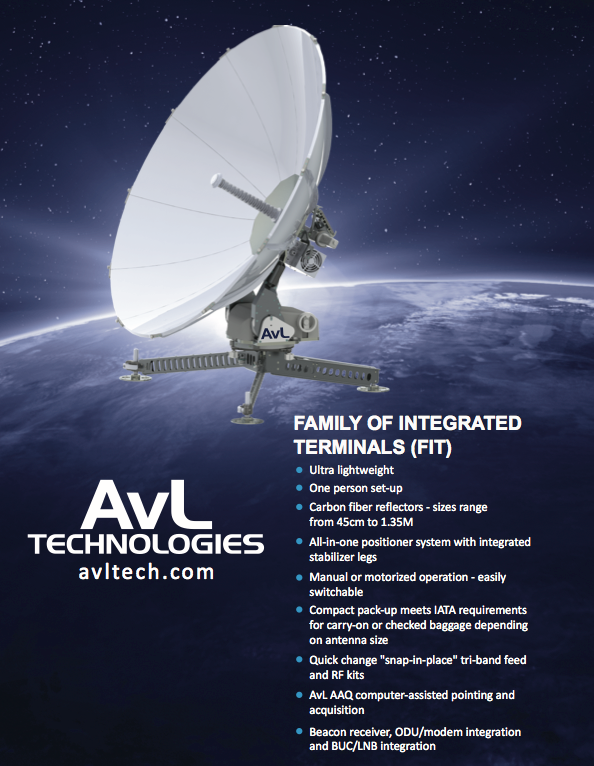 The handover of this satellite to NAVSOC clears the final hurdle allowing for ARSTRAT to provide the payload’s final configurations to support the Navy’s legacy UHF satellite communications mission. Eventually, legacy narrowband UHF communications will transition to next-generation Wideband Code Division Multiple Access (WCDMA) capabilities. To facilitate that transition, all five on orbit MUOS satellites were intentionally designed with two communications payloads to support both Legacy UHF and WCDMA. Early combatant commander testing of the on orbit WCDMA payloads began in July of 2016. The new MUOS capabilities will revolutionize communications for mobile forces with simultaneous, crystal-clear voice, video and mission data over a secure high-speed Internet Protocol-based system. 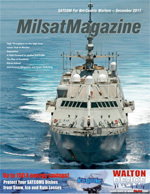 Users with new MUOS terminals will be able to seamlessly connect beyond line-of-sight around the world and into the Global Information Grid, as well as into the Defense Switched Network, as part of the Navy’s worldwide cellular network. Once fully operational, the MUOS network of five on orbit satellites and four relay ground stations will provide more than 10 times the communications capacity of the legacy UHF satellite system. MUOS’ network already provides near-global coverage, including communications into polar regions. MUOS also has demonstrated successful communication of Integrated Broadcast Service (IBS) messages. Mark Woempner, Lockheed Martin’s director for Narrowband Communications, related that today, every Combatant Command in aircraft, ships, submarines, ground vehicles, as well as by troops in the field and special operations, rely upon secure, beyond-line-of-sight (BLOS) UHF satellite communications provided by the Navy. 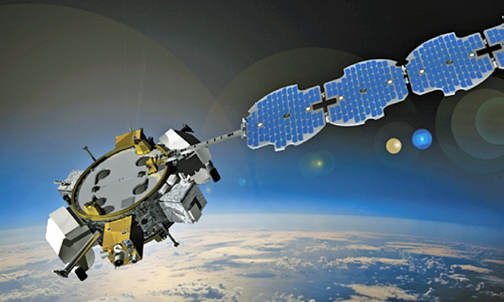 ARSTRAT’s final configuration of MUOS-5’s UHF legacy payload allows the satellite to fully support the military forces in these Combatant Commands. 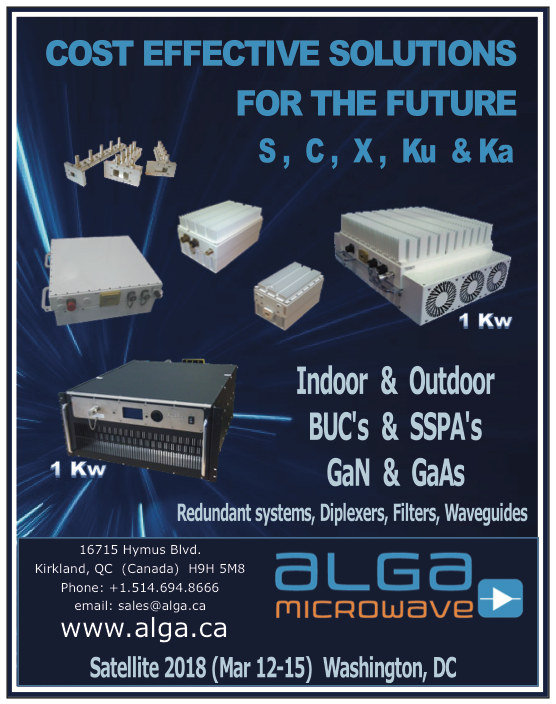 Today, there are more than 55,000 radio terminals currently fielded that can be upgraded to be MUOS-compatible, with many of them requiring just a software upgrade. Woempner added that the company continues to receive great and constructive feedback on MUOS’ capabilities as more users access the satellite’s capabilities. Similar to a civilian cellular phone service, upgrades to this new secure global military cellular network are ground-based and designed in an AGILE software development environment. The company continues to make upgrades to the system based on user needs and look forward to bringing its full capabilities to our warfighters. The Navy’s Program Executive Office for Space Systems and its Communications Satellite Program Office responsible for the MUOS program are based in San Diego, California. Lockheed Martin assembled and tested all five now-on-orbit MUOS satellites at its Sunnyvale, California, facility. The ultra high frequency spectrum is the military’s workhorse, supporting more than 60 percent of Department of Defense satellite communication users. 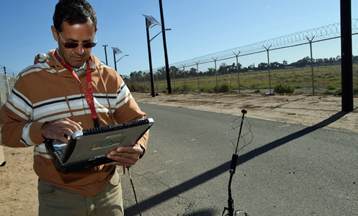 George Zueck, an electronics engineer with Marine Corps Tactical Systems Support Activity, tests the tactical chat capability of a MUOS-ready manpack radio aboard Marine Corps Base Camp Pendleton, California. Photo is courtesy of the U.S. Marine Corps — Sky M. Laron. A group of technical support officers, radio operators and electronics engineers from Marine Corps Tactical Systems Support Activity put that horse through its paces testing new satellite-capable technology aboard Marine Corps Base Camp Pendleton, California. The MUOS is the Defense Department’s next-generation narrowband military satellite communications system. It will support a worldwide, multiservice population of UHF band users, providing increased communications capabilities to smaller terminals while still supporting interoperability with legacy terminals. MCTSSA provides engineering leadership and support for Marine Corps and joint service command, control, computer, communications systems by investigating current and emerging technology, executing developmental test and evaluation activities, and providing advanced technical expertise to support the warfighter. During this test, MCTSSA assessed the RT-1949 tactical radio’s ability to use the MUOS waveform for voice and data communication while on-the-move and at stationary positions, said Billings. MUOS is designed to support users that require mobility, high data rates and improved operational availability. MUOS adapts cellular phone network architecture and combines it with geosynchronous satellites to provide a new and more capable UHF system. MCTSSA, the only elite full-scale laboratory facility operated by the Marine Corps, is a subordinate command of Marine Corps Systems Command. MCTSSA provides test and evaluation, engineering, and deployed technical support for Marine Corps and joint service command, control, computer, communications and intelligence systems throughout all acquisition life-cycle phases. NSR’s newly released Government and Military Satellite Communications, 14th Edition report finds ongoing and expanding revenue growth across the global government and military markets. Enabling connectivity on legacy platforms will continue to be the name of the game. Unmanned Aircraft Systems, Comms-on-the-Pause, and Maritime will comprise more than 60 percent of revenue growth over the next decade. With nearly $9 billion in retail revenues projected by the end of 2026, questions remain over the role of future proprietary military capacity, how a refocus on Asia Pacific will shape deployment strategies, and which market/s provide the best role for commercially-sourced vs. military provided connectivity. Overall, NSR finds managed services will play a larger role, HTS will be adopted, and some acquisition is likely to happen. However, what will be the mix between government and commercially provided connectivity or how many emerging opportunities will be ‘new requirements’ remains to be seen. As sequestration still impacts readiness levels today, HTS will be a growing option for new ships, airframe, and locations. Government & Military customers will be slow to adopt these higher throughput offerings, but they will be in-step with the commercial markets in achieving capacity pricing declines for both FSS and HTS satellite capacity. This will help boost uptake and chart a path towards managed services for satellite providers to remain viable partners in the market.